Christian’s Cafe and Eatery is on track to open in late February in the downtown Kennebunk location formerly home to Perfecto's Caffe. KENNEBUNK, Maine — A new eatery is slated to open in the downtown Kennebunk space that was formerly Perfecto’s Caffe, which has sat vacant for more than a year. Christian’s Cafe and Eatery, on track to open in late February, received license approval from the Board of Selectmen Tuesday. 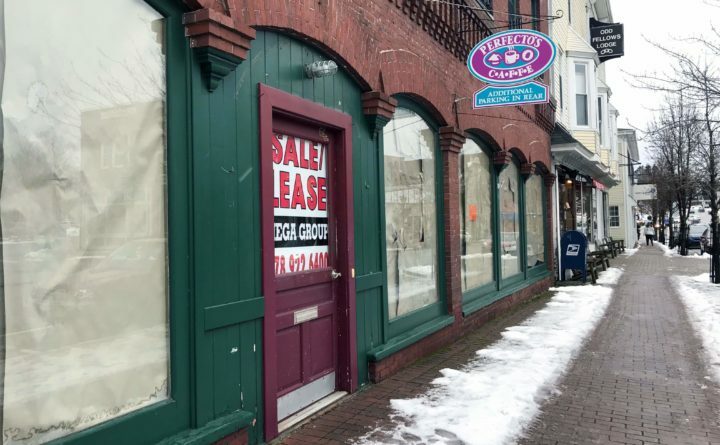 A chef with 30 years of experience, John Dimitriou, owner of Christian’s Cafe and Eatery, said he will offer homemade bagels, soups, paninis and salads in the Main Street space. “Everything will be fresh and homemade,” Dimitriou said in a telephone interview. Perfecto’s Caffe, which abruptly closed in September 2017, left a void for breakfast fare in downtown Kennebunk. Residents have been anxious for something to replace it over the past year that the space sat vacant. The board approved the licensing contingent upon final code enforcement and fire safety inspections which will be done after the renovations that are underway are completed. Dimitriou is from Massachusetts and said he began baking fresh bagels on Long Island, New York, 30 years ago. He has been coming to the Kennebunks and Ogunquit for 22 years, and is looking forward to putting down roots in the area with his family. He said he is looking forward to serving the community his fresh menu for breakfast and lunch. “I’m not there to compete with anyone, I see that this type of food is missing,” Dimitriou said. His homemade tomato soup starts with fresh tomatoes that he roasts with onion and crushed garlic before adding basil and homemade vegetable stock. The soup is finished off with cream and processed until smooth and creamy. Two residents of the Ross Block condominiums above the business space spoke at the board meeting, asking Dimitriou about the ventilation system being installed. Jill Roberts and Courtney Rice said they had poor communication with the previous business owner, and they welcome a better relationship with Dimitriou. Dimitriou said the company that has been hired to install the ventilation system will follow all codes so that cooking odors do not affect the residents. The cafe, named after Dimitriou’s youngest of his five children, is expected to open in late February if all of the renovations go as planned. He said much of the space itself will remain the same, but the floors have been refinished, and the layout of the shop will be a little different to accommodate his variety of offerings. Christian’s is planned to be open from 6 a.m. to 2 p.m. daily.